This lab provides a quick tour of the console to help you get familiar with the user interface along with some key terminology we will use in subsequent lab content. We will be using the following terms throughout the workshop labs so here are some basic definitions you should be familiar with. You'll learn more terms along the way, but these are the basics to get you started. 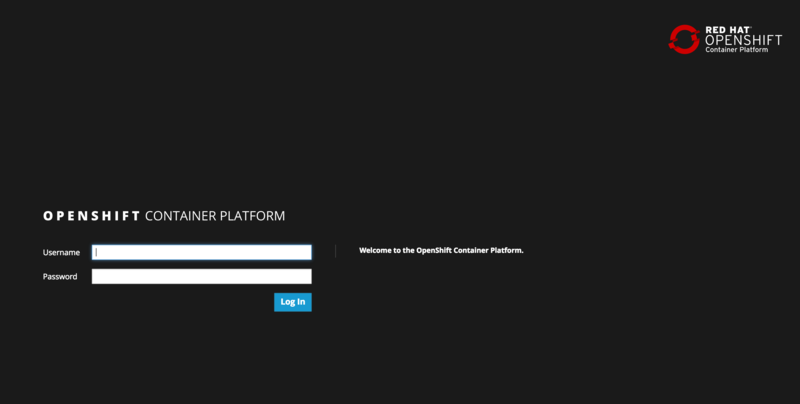 OpenShift provides a web console that allows you to perform various tasks via a web browser. Additionally, you can utilize a command line tool to perform tasks. Let's get started by logging into both of these and checking the status of the platform. Use your browser to navigate to the URI provided by your instructor and login with the user/password provided. Once logged in you should see your available projects - or a button to create a project if none exist already. Open a terminal and login using the same openshift URI with the oc Login command. Please add the option --insecure-skip-tls-verify=true. You should now be ready to get hands-on with our workshop labs.